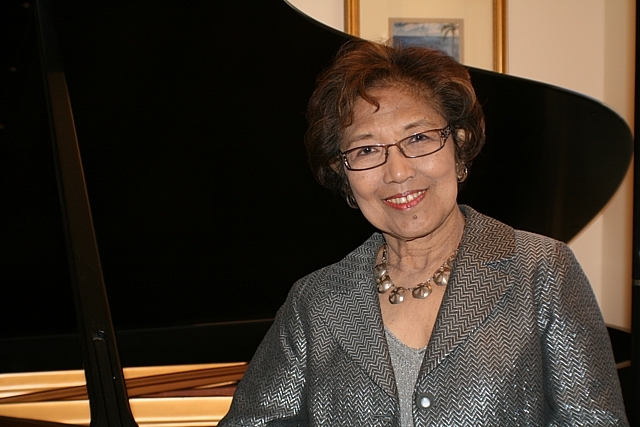 Selected Preludes by Debussy, including "Feux d'artifice"
Philippine-born Victoria Bragin was co-winner at the 2002 Van Cliburn International Piano Competition for Outstanding Amateurs, a competition for pianists 35 years or older who do not make a living from either piano performance or teaching. It was the first piano competition she ever entered. She was subsequently also a winner in other amateur piano competitions in Chicago, Warsaw (Chopin competition in Poland), and Berlin. With advanced degrees in both music and chemistry, Ms. Bragin spent most of her professional career in chemical education. She was chemistry professor at Pasadena City College in California before serving as Program Director in the National Science Foundation's Division of Undergraduate Education. Retiring shortly after the Cliburn competition, she was appointed the first Music Artist-in-Residence at West Virginia's Huntington Museum of Art, in which capacity she performed and produced concerts in conjunction with Museum exhibits. She was recipient of the 2003 Herald-Dispatch Citizen Award for the Arts for her music accomplishments and arts advocacy. Her performances have been featured on NPR's Performance Today, WFMT's Pianoforte Salon Series in Chicago, and on WV Pubcast's In Touch with the Arts. She has given concerts all over the United States including in Washington, DC, where she performed to a sold-out audience at the Hirshhorn Museum. In addition to Berlin and Warsaw, Ms. Bragin has been invited to perform in Nice (France), and Stuttgart (Germany). When not playing the piano, Ms. Bragin can sometimes be seen roaming the halls of the Library of Congress in Washington, DC with her husband where they volunteer as docents. More at her web site here.